WordPress, the most popular open source CMS, has just announced the biggest release of the year with WordPress 5.0. And now, it is available in the Bitnami catalog. Download it for installers and virtual machines. Run your WordPress server in the cloud: Google Cloud Platform, AWS, Azure and others. Use WordPress containers and Helm Charts to deploy this version in Kubernetes. And for the most demanding environments, you can also try Bitnami WordPress Multi-Tier which separates the application code from the database. It is available on Google Cloud Platform, Azure or AWS. So, what's new in WordPress 5.0? 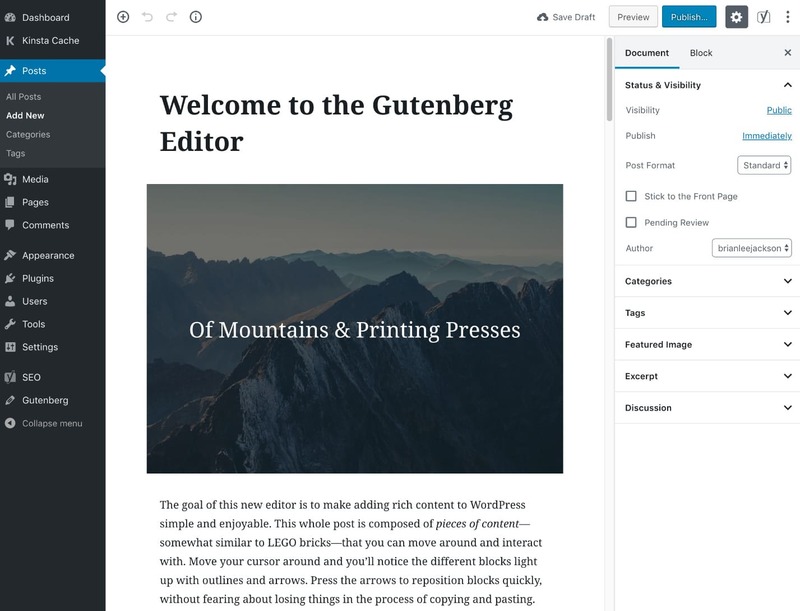 WordPress offers now a new content creator/editor called Gutenberg. This new core block builder will change how WordPress works, and replace the existing classic editor. Gutenberg will make the content writing and editing process more modern and faster. Create blocks, drag and drop elements, and adding media files is now easier than ever. WordPress 5.0 also includes the new minimal Twenty Nineteen theme, with full front and back-end Gutenberg support. This release also includes other features like security updates, front-end editor improvements, mobile optimization and much more. Get started with the new version of WordPress today! If you have any questions about how to update your Bitnami WordPress, check out our step-by-step guide or reach out to us on the community support forum. We'd be happy to help you!